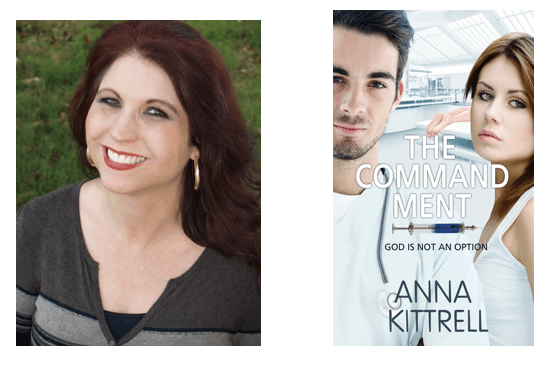 Allow me to introduce you to my friend and author, Anna Kittrell, and her newest novel, The Commandment, releasing August 24, 2018. Anna was kind enough to answer a few questions related to her writing process for us. 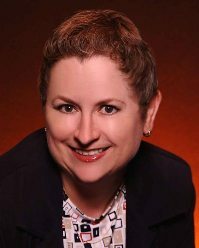 I find it very interesting and enlightening to learn of authors’ writing process. Her bio, a free excerpt, and information about The Commandment follow. Here are the questions and Anna’s answers. Enjoy! Do you have any interesting writing quirks you’d like to share? When writing, I strive to communicate the thoughts and emotions of my characters in original ways. To make sure the facial expressions and actions are clearly conveyed to the reader, I often make faces in the mirror and act out physical movements. A few things I’ve acted out are: locking my hands behind my back while pretending I’m tied to a chair, pushing my head into a laundry basket while imagining I’m drowning in a fish tank, and rolling around on the floor, pantomiming a scuffle. I’m sure I look ridiculous! But it helps me come up with new ways to say the same old thing. It also helps me get inside the character’s skin, which enables me to breathe a little extra life into the story. I learned SO MANY things while writing this book! For example, Lukas Stone, the hero of the story, is fearful of heights, yet owns a hot-air balloon (that he’s never been in.) In my research, I learned that throwing out sand bags is no longer the way to lift a hot air balloon. Instead of helium, like they used in the old days, today a propane burner is used to keep the balloon in the air. Blasting heated propane into the envelope causes it to rise. To land, the pilot opens a valve on top of the envelope, allowing the hot air to escape for a controlled descent. Another cool thing I learned was that some types of cactus juice produce a numbing sensation…which was PERFECT for creating the serums in The Commandment. Can you tell us about your heroine? My heroine’s name is Briar Lee, she’s a few weeks from turning eighteen—and I really like her. She’s been under house arrest since the age of seven. Because of her functioning Agathi—aka God Zones—the government fears she will spiritually contaminate society, and therefore won’t allow her to venture from home. Currently, Briar resides at a Nevada-based medical laboratory over a thousand miles away from her Oklahoma residence. She didn’t choose to live here, and definitely wouldn’t be there if she had a choice. Due to her functioning God Zones, she was flown to the lab to be a human test subject for Lukas Stone’s groundbreaking abstergent—a brain injection that dissolves the area of the mind that houses all thoughts and emotions connected with God. Something people may not know about Briar is that she loves to cosplay! For those unfamiliar with the term, cosplay is dressing up in costume to represent comic book heroes, cartoon characters, or anyone or anything else that appeals to you. Briar plans to work with children after earning her degree in child psychology. Cosplay is a fantastic way to connect with kids. Plus it’s just plain FUN! Briar has overcome many obstacles in her young life. Some of her trials have included being on house arrest since age seven, enduring the death of her courageous grandmother and the suicide of her father, being flown over a thousand miles from home to become a laboratory test subject, being drugged, kidnapped, and imprisoned in a medical chamber of horrors, and having holes drilled into her skull and needles plunged into her brain. It’s safe to say the poor girl is in desperate need of a Knight in Shining Armor! Despite his clinical, emotionless upbringing, Lukas Stone was able to fill that role by tuning into that still small voice that resides in the soul. His ability to choose “right,” even when everyone else insists it’s wrong, makes him a hero. Upon meeting Lukas, Briar’s first thought was that he was a handsome guy. Her second thought was that he wasn’t rowing with both oars—or in his case, flying with both wings. For goodness sakes, the man owns a hot air balloon, but is afraid of heights! In turn, Lukas thought Briar was a silly small town girl, warped by a functioning God Zone. It took some time for each of them to see past the surface, into one another’s hearts, and then, finally, into one another’s souls. Now Briar knows there isn’t a more beautiful place to be than by his side, and she’s pretty sure he feels the same about her. To believers, “till death do us part,” doesn’t really mean death—or parting. Lukas and Briar will spend eternity together. That realization makes their love even stronger. Anna works as a middle school secretary in her beloved hometown of Anadarko, Oklahoma, where she resides with her high school sweetheart-turned-husband, Tim. She has written for as long as she can remember, and still has many of her tattered creations—stories she used to sell on the playground for a dime, written on notebook paper. Her love of storytelling has grown throughout the years, and she is thrilled her tales are now worth more than ten cents. P.S. — I can hardly wait to have the book arrive in my purchased book collection. Ha, I can totally picture you doing all those things, Anna. Whatever it takes to get it right, right? 🙂 I enjoyed the interview. I love the unique concept of your story. Congrats and best wishes!